Dylan Bowman is back in Oceania for the second time this year to race The North Face 100k-Australia. In the following interview, Dylan talks about how he’s trained for the unique aspects of this course and why he’s drawn to trail running in general. Make sure to stick around and see him sample some local cuisine at the end of the interview! iRunFar: Hi, I’m Kerry Suter for iRunFar, and I’m here with Dylan Bowman ahead of The North Face 100k in Australia’s beautiful Blue Mountains. Welcome to Australia, Dylan. Dylan Bowman: Kerry, good to see you again. Bowman: First time in Australia, yeah. iRunFar: What brings you to Aussie? Bowman: I had such a good time in your neck of the woods in Tarawera that I figured I’d come and check out the other kind of noteworthy race in the region. I’d heard good things about the race from friends who I trust like Jorge Maravilla who ran it last year. Ryan Sandes had great things to say about it. I’ve been in touch with Brendan Davies and things as well. I think it’s a race that suits me. It’s obviously a world-class event. They’ve brought in a lot of good competition. So from that perspective, it’s attractive in a lot of ways. iRunFar: You’ve had a few days kicking around Sydney and now here at Katoomba. Tell me about your experience in Australia so far. Bowman: I got in really early on Sunday morning. I spent a couple days in Sydney and bounced around there. I caught up with some friends and family that I have which was great. Honestly, it reminds me a lot of where I live in San Francisco, at least the Sydney region specifically, just because you’re on the water and there’s a bay and some bridges. It’s a similar climate. It reminded me a lot of home. It was cool to be in the city. I got up here to the Blue Mountains yesterday. From what we saw this morning, it’s been gorgeous. I’m looking forward to seeing a lot more of it on Saturday. iRunFar: So you’ve had a quick look at some of the course, and you’ve been out on the trail and had a little look around. What are your thoughts? Bowman: The section that we ran this morning was a lot slower than I anticipated the course being. In looking at the course profile, I was kind of surprised at what the times usually are or what it takes usually to contend for the win here. But I understand why that is now after seeing a bit of the course today—lots of steep staircases down, steep staircases up, and then that section of single track we ran which was mighty technical. So I can see why it’s not as fast as Tarawera is, but I know there are also some pretty smooth fire road sections that will allow you to open it up a bit. So I think it’s a course that suits me because I do like to kind of switch between gears like that in races. Yeah, we’ll see. iRunFar: With that in mind and with the information Jorge would have given you about the course, what’s your training been like in terms of specificity in preparing for this? Bowman: Yeah, of course everybody you talk to about TNF 100k-Australia mentions the staircases. So luckily where I live in Marin County, we do have a lot of trails with steps in them as well. I made a point to get on those trails specifically. The other thing, too, about this race that I think is unique and what Jorge relayed to me is that the second half is a lot more difficult than the first half, at least in his opinion, and the fact that you basically have the biggest climb of the day to finish the race. The last nine or 10 miles or 15k are uphill. So I’ve tried to mimic that in training—make the second half of my run a bit tougher and finish with a climb. I feel really fit. I feel really prepared. Like I said, I think this is a course that suits me, so I’m hoping for a good one. iRunFar: Everyone is expecting a big showdown between you and François D’Haene. There is a lot of anticipation for Andrew Tuckey and Brendan Davies as well. Vajin Armstrong is a contender as well. There are a lot of really high quality runners in this race. How do you think the race is going to unfold? Have you got a race plan and method you’re going to execute? Bowman: Well, first it’s an honor to race against all those guys, particularly François. I wouldn’t necessarily think that it would be showdown between just the two of us. All those names you mentioned as well as Julien Chorier who is a world-class runner, and he always prepares really well so I would expect him to have a great day. I would expect it to go out fairly quick just because it’s a fairly competitive field. I typically will wait until at least halfway to do anything that would look like a move. I usually will bide my time until halfway. I would like to be somewhat in the mix from the beginning, so I won’t be too far back I don’t anticipate. So we’ll see how it plays out. I wouldn’t expect to be in the lead early. iRunFar: Now there’s a lot of requirements in this race to carry compulsory gear. The Australian wilderness is a pretty dangerous place. Tell me a little bit about the gear you’re bringing into the race and how you’ve managed to keep your weights down with those things. Bowman: Obviously The North Face has outfitted me with everything I need to satisfy the compulsory gear requirements. I’ll be carrying the Storm Stow jacket and pants, assuming we need to carry the waterproof pants. I’ll be carrying the base layers as well from The North Face. One of the things I’m really excited about, I just got the next generation of the Long Haul short that The North Face makes which is a totally redone version of something that’s been a staple in their run line for a long time. It’s got pockets. It’s a really, really cool piece of running apparel that I’m excited to use during the race. I’ll be using a Camelbak pack, a four liter pack. I’m hoping I can stuff everything in there. I’ll use bottles on the front rather than a bladder. 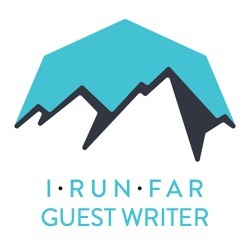 iRunFar: A lot of people have different reasons to come to trail running, and I’ve always wanted to understand someone’s motivation—what is it they love about being a part of the sport and partaking in ultrarunning, and what it is that draws you to ultrarunning. Bowman: For me, I’ve always been an athlete. So obviously I am attracted by the fact I get to go to places like this and meet up with people who have become friends like yourself and other runners in the race. More than anything, I like to compete. I like to challenge myself. That’s kind of been a theme throughout my life. Yeah, the thing that drew me to ultrarunning was the competition. I think the thing that makes me stay is that I feel so at home and have made so many good friends. That goes for when I’m in the States or when I come here for the first time and I know a lot of people and see a lot of familiar faces that I’ve seen all over the world. So it’s a special sport in that way, and I’m super lucky. iRunFar: I’ve got a little Australian cuisine for you, mate. Here’s Vegemite on toast. I’m sure you’re no stranger to this. It’s probably a staple at home. Bowman: Yeah, I have this for breakfast every morning. iRunFar: Cin, cin! It’s good, aye? iRunFar: Another thing I thought you have to do whilst you’re here—it’s good, aye? iRunFar: Maybe you’re wondering why the Australian athletes are just so good. This is a local draw VB [Victoria Bitter]. Bowman: A nice little recovery shake after our 8k run this morning? iRunFar: It’s pretty much midday. I’m sure it’s five o’clock somewhere, right? Bowman and iRunFar: Cheers, mate. iRunFar: That’s some quality living, aye? It doesn’t get any better than this. Bowman: Sure is. This is amazing. iRunFar: Thanks for your time. Good luck for Saturday, mate.